Burgundy has a history as a wine Mecca stretching back hundreds of years, closely intertwined with local culture and monastic research and scholarship. But it isn't all tradition, there is still plenty of research and innovation, even though it sometimes leads back to older practices. You'll find oak eggs for the early part of maturation, people hand-destemming and carefully rolling individual grapes into vats for the ultimate in tannin management: rest assured, most of us cannot afford those wines and there's usually only one barrel anyway. We find the reintroduction of horses and huge uplifts in quality in vineyards such as Clos Vougeot and whole villages like Fixin. As ever in this region I'm not sure there is a conclusion to draw from the cellar tastings last November, after all, c'est Bourgogne; c'est compliqué. But the 2016 growing season was torturous to those responsible for the vines. To begin with many had to bear such awful crop losses from the frost and subsequent sunshine, then cope with wet and disease; then the drought and different generations of grapes maturing at different rates were all difficult. The picking date was crucial and for those cuvées which were much smaller than usual some decisions, both commercial and vinification-related, were new to most growers. Thinking ahead, decisions had to be made about purchasing barrels, not just for 2016 but for subsequent vintages. As a grower you had to work out what to do to get those vats fuller. One way is to use whole bunches, but if you normally destem everything you have to learn quickly, and anyway, are your stems ripe enough? So inasmuch as it is possible to come to a conclusion at all, it seems to me that the 2016 vintage acts as an amplifier. There have been wines showing saline minerality which in previous vintages were simply stony. Vigneron styles have been amplified: from the tear-inducing delicacy and elegance of Francois Bertheau to the intensity of Meo-Camuzet. 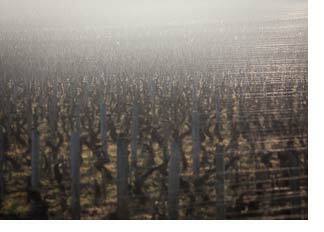 Terroir definition is a bit amplified with differences between plots more stark than often. It is certainly a vintage that I want in my cellar. The known known is availability: there simply isn't much wine in the region. The known unknown is price. The larger 2017 vintage is next on the tracks, but will the growers want to recoup some of their losses immediately? The next week will reveal much, the next thirty years a lot more. Who's in? To help you see if you are, we are holding a necessarily smaller than usual tasting this Friday 12 January. Our Unfree Friday tasting - Burgundy en primeur should be one of the most interesting of the year and the nominal charge doesn't even cover our costs. Normal free Friday tastings will resume on Friday 19th.